Anne has been teaching at PRI for just over two years now. When she was initially hired in 2007 Pine River had recently become an inspected private school with the Ministry of Education. Says Anne, “it was exhilarating to be involved in such a young academic program and be a part of its growth.” Anne and her fellow teachers have worked hard to offer Pine River students a broad range of educational opportunities. Before Pine River Anne was an Instructor and Trip Lead with Project D.A.R.E/Wendigo Lake Expeditions, leading wilderness trips for young men in custody. Project DARE is a residential wilderness-therapy program for at-risk youth. The acronym D.A.R.E. stands for Development through Adventure, Responsibility and Education. She has also been involved in education and outreach work with various social justice and environmental NGOs in Ontario and the Maritimes. How did Anne know she wanted to work with troubled teens? She completed a BEd. in Outdoor Experiential Education at Lakehead University and went to teacher’s college. “(I had) no intention of working in a conventional classroom; I knew I wanted to work in an alternative setting…It is very important to me that my work reflect my social values and teaching at Pine River certainly fits the bill! It truly is a privilege to be a part of such an innovative and meaningful initiative. 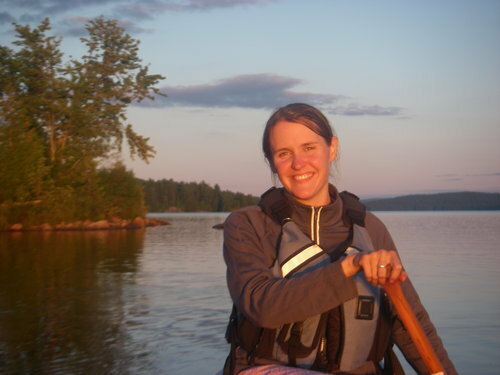 When she’s not with the students at Pine River, Anne spends her time hiking, canoe tripping, cross-country skiing, and seeing live music. She is also active in community initiatives that support issues of food security and social justice. We are thrilled to have Anne on our team – she is an incredible teacher, mentor, and colleague. A big thanks for all you do!